CHI 2019 strongly recommends that you submit accessible documents, so that your content can be read by the greatest number of readers. Making an accessible PDF requires only a few steps, but ensures that your paper is readable by readers and reviewers. These steps will ensure that your document is readable by people with vision- or reading-related disabilities, and can improve usability for others as well. These instructions are based on the SIGACCESS Guide for Accessible PDFs in Word and Adobe Acrobat. What makes a PDF (in)accessible? How do I check whether my PDF is accessible? There are two primary steps that ensure a PDF is accessible. How to achieve these steps for each writing tool is described in detail below. Ensure that images and figures have proper alternative content. All visual content (figures, charts, etc.) should have alternative text that describes the content. Typically, this alternative text should not just be a repetition of the caption, but should provide additional details so that the figure is understandable by someone who cannot see the images. Ensure that the PDF is saved as a “tagged PDF” with machine-readable document structure. The PDF must be saved properly so that it includes appropriate metadata, including the document text and markup for section headers, tables, etc. This information can be added in several different ways, depending on the software you are using to write your document (described below). Microsoft Word can produce accessible PDF. This works in most versions of Word for Windows, and works on the latest versions of Word for Mac. If you do not have access to the latest Word for Mac, you can edit the document on Mac and perform the last step on a PC with Windows Word. Ensure that built-in styles are used. Word is able to produce accessible PDFs if the content is created using Word’s built in styles. Ensure that headings are created using Word’s heading styles, tables are created using Word’s table feature (rather than an image), and lists are created as Word bulleted or numbered lists. Add alternative text to all figures. For each image in your document, right click the image and select “Format Picture”. In the Format Picture window, select the “Layout & Properties” tab. In the “alt text” section, provide a title of the image and a text description of the image. Remember that the text description should include the equivalent information to the image itself, so that the content is accessible to readers and reviewers who cannot read the image. For more information, see WebAIM’s guide to creating alternative text. If you are using an older version of Word, see these instructions for adding alternative text. Mark table headers. Mark the header row of each table so that a screen reader or other accessibility software can navigate the table. Highlight the header row or column in the table, click the Table Design tab in the Word ribbon, and check the Header Row and/or First Column checkbox if either contain header information for the table. Check title and language. Add a document title. On Word for Windows, open the File tab and click on Info. On Word for Mac, click the File Menu and select Properties, then click the Summary tab. Fill in the title of your document. Set the document language. Click the Review tab in the Ribbon. Click the Language button and select the document language from the pop-up. Save tagged PDF. Word for Windows. Open the File menu and select Save (or Save As). Select PDF as the file format and select More Options. Under the Options menu, make sure that “Document structure tags for accessibility” is checked. Click Save to save an accessible PDF, and verify the PDF accessibility using the steps below. Word for Mac. Open the File menu and select Save (or Save As). Choose PDF from the File Format dropdown. Make sure that the option “Best for electronic distribution and accessibility (uses Microsoft online service)” is selected. Note that this option requires a connection to the internet. If you do not see this option, your version of Word may be out of date, and you will need to save the PDF on a newer version of Mac Word or in Windows Word, or you will need to add accessibility data in Acrobat.Do not use the Print > Save as PDF function to produce your PDF, as that will strip the accessibility information from the saved file. Unfortunately, support for adding accessibility metadata to LaTeX documents is limited. You will probably need to use Adobe Acrobat to add missing accessibility metadata to your PDF file. If you produced a PDF file that does not contain the proper accessibility metadata, you can add this data to your produced PDF file using Acrobat. Note that this requires the commercial version of Adobe Acrobat. Note also that this information will need to be re-added each time you produce your PDF. If possible, it is preferable to add the accessibility metadata to your source document (Word or LaTeX) using the instructions above. Follow the instructions below, or consult the SIGACCESS Accessible PDF Author Guide for more detailed instructions. Check that fonts are embedded in your PDF. If fonts are not embedded in the PDF, the PDF will need to be regenerated, which will cause the loss of accessibility metadata. Open the menu File > Properties. Select the Fonts tab. For each font, the name should say (Embedded Subset). If the “embedded subset” text is missing, then the fonts are not embedded, and you should re-generate the PDF before proceeding. Note that Adobe sometimes adds a font “Times-Roman” with Type=1 and Encoding=Custom. Whether that font is not embedded does not affect the document accessibility, as it is used to store accessibility metadata, so it is OK to proceed even if this font is not embedded. Add document tags. The PDF file must be “tagged” with metadata about the document structure and text. You can check to see if your document is tagged by using the accessibility check function: select Tools > Accessibility from the menu, then click Full Check. If the document is not tagged, you will see a message stating that “This document is not structured”. To add tags to the document, select Tools > Accessibility from the menu and click Add Tags to Document. Add alternative text to all figures. From the application menu, select View > Tools > Accessibility. The accessibility tools will open in a panel on the right. Select “Set Alternate Text” from this menu. This option will walk you through each image and ask you to provide alternative text. If you are using an older version of Acrobat, this option might not be available. In that case, you can add the alt text manually. Select View > Tools > Content from the top menu. Select the Edit Option tool. For each figure in your PDF, right-click the figure and select Properties. Click the Tag tab in the pop-up window, and enter the alt text in the field named Alternative Text. As this method requires Acrobat to guess the structure of the document, you will want to use the TouchUp Reading Order tool to verify the document structure. Mark table headers. Right click the table in your document. You should see an option named “Table Editor”. If that option is not available, Acrobat may not have correctly identified the table. You may use the TouchUp Reading Order tool to label the table in the PDF. Within the editor, each table cell should be labeled as a header (TH) or data (TD). If a cell is mislabeled, right click the cell and select Table Cell Properties, and set either Header Cell or Table Cel as appropriate, and indicate whether it is a header for the row, column, or both on the Scope dropdown menu. Set title and language and other metadata. Add a title and language. Select File > Properties from the menu. Select the Description tab. Fill the Title field with the document title. Next, select the Initial View tab. In the Show dropdown, select Document Title. Next, select the Advanced tab. In the Reading Options section, select English from the Language dropdown menu. Set tab order. Setting the tab order is necessary so that a keyboard user can use the tab key to navigate through the document. To set the tab order, click the Page Thumbnails icon to show thumbnail images for each page (or, in the top menu, select View > Show/Hide > Navigation Panes > Page Thumbnails). Select all pages with Control-A (Windows) or Command-A (Mac). Right click and select Page Properties. In the popup window, select “Use Document Structure” on the Tab Order tab, and click OK to set the tab order. Save tagged PDF. Before you save your PDF, use the accessibility check tool to verify that your PDF is accessible: elect Tools > Accessibility from the menu, then click Full Check. Saving the PDF in Acrobat should save the relavent accessibility data by default. No extra steps are necessary. On newer versions of Word, you can check the accessibility of the document by clicking the Review tab in the Ribbon and selecting Accessibility Checker. Note that even if Word says that your document is accessible, you must still save your document using the steps described above to produce a tagged PDF. Using Acrobat Pro, you can check for accessibility by opening a PDF file and selecting Tools > Accessibility > Full Check. If you do not have access to Acrobat Pro, you can use a free tool, such as the PDF Accessibility Checker (PAC) for Windows or the EIII’s web based PDF accessibility checker. 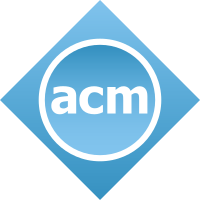 If you are not certain whether your PDF is accessible, please contact the Accessibility Chairs at accessibility@chi2019.acm.org. If you have any questions or concerns about creating accessible content, please contact the Accessibility Chairs at accessibility@chi2019.acm.org. What about my other content? It is important to consider accessibility issues in your other content as well. For example, here are some resources about captioning and describing video content. This is a known error. Since the Times-Roman font is only used for accessibility features, Sheridan will accept your PDF despite this error (although if you see this error for other fonts, you may need to regenerate your PDF).